Hello everyone, I’m really excited about this post, even though it’s probably nothing huge. So, I brought a No7 mascara, and along with that came this little box. I had no idea what it was, there was no offer or anything so I was quite surprised. What is inside is even better! Inside the small box, came a mini mascara, a eye shadow, a eye shadow brush and eye pencil. I was shocked to see that the pencil was full sized and not just a sample one like you usually get with free gifts. There is two ends to the pencil, one side with a deep purple/brown colour which is a crayon type pencil, and the other end just a sponge to blend with. The purple brown is perfect for the up coming autumn/winter. Secondly, the eye shadow. 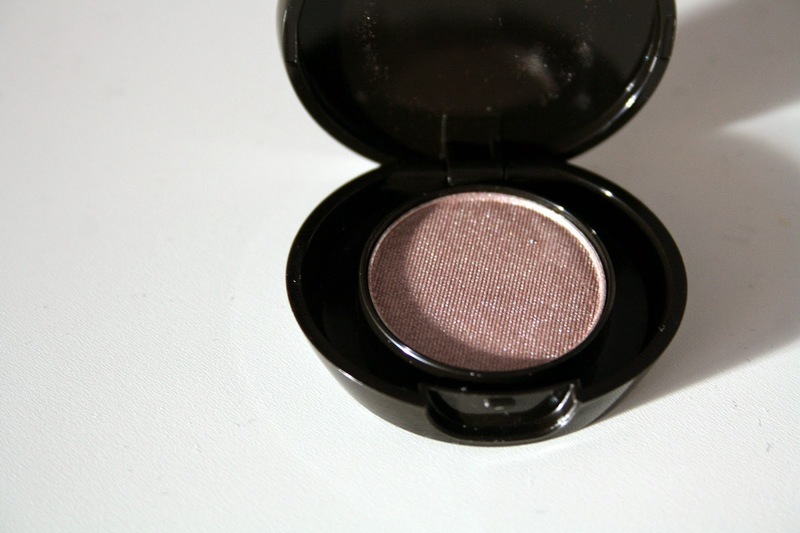 I LOVE the shade of this, its a shimmer shadow, which is similar to the eye crayon, but more brown based. It’s almost a mauve colour, just with a bit more brown. 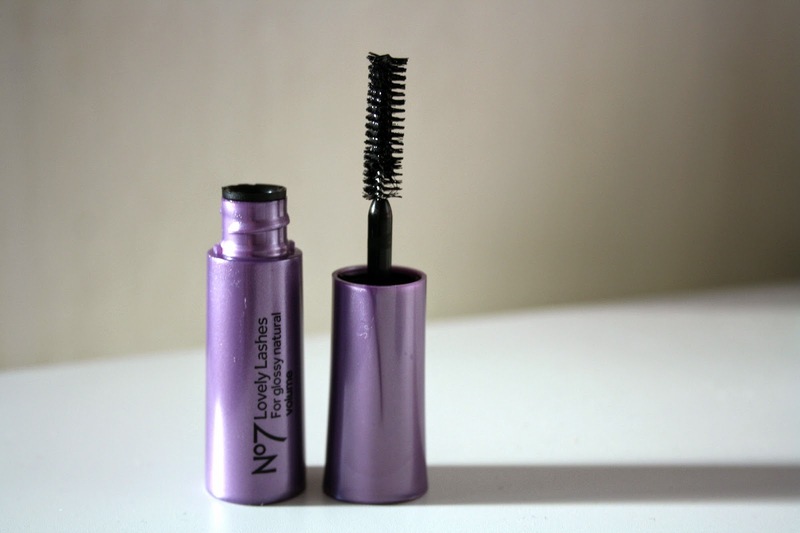 The mascara, just a small black mascara, which looks really nice and I can’t wait to try out. Finally the brush that came with it. I was also surprised to find a brush within this. 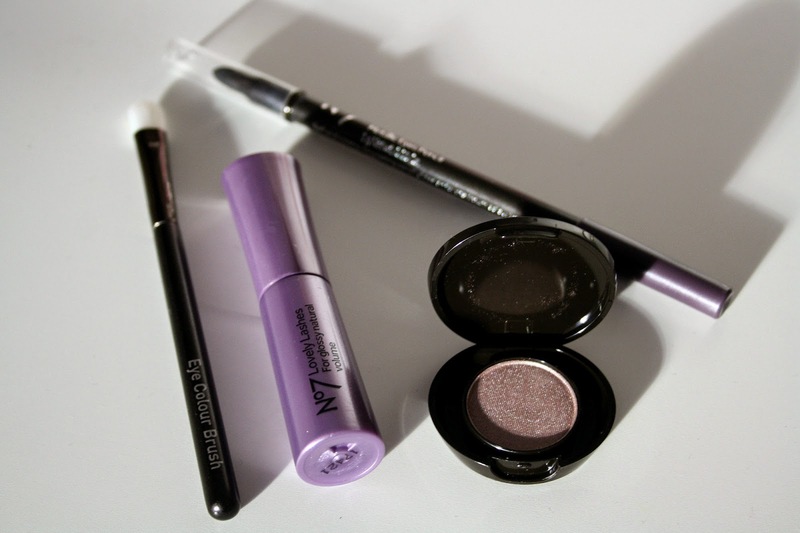 It’s really good quality, and looks good for just doing small bits of blending with eye shadow. 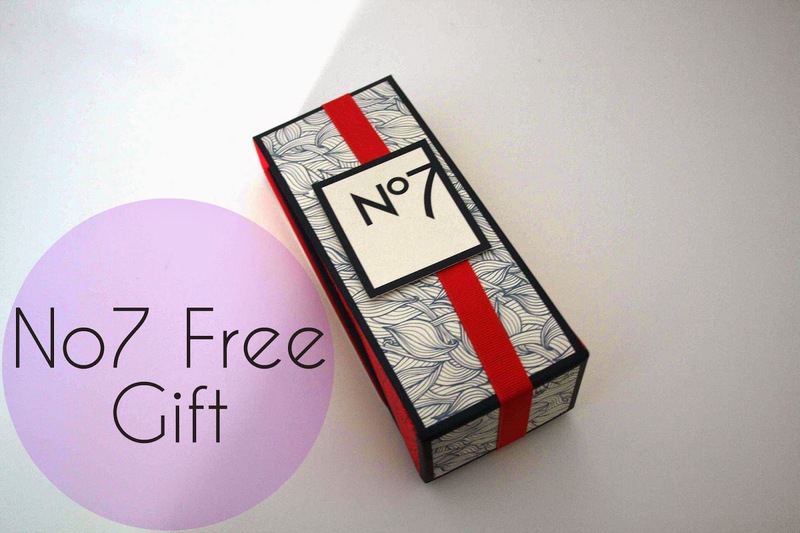 I hope that if you purchase something from No7 you will get a free gift like this also, because its amazingly good! Thanks for reading guys!